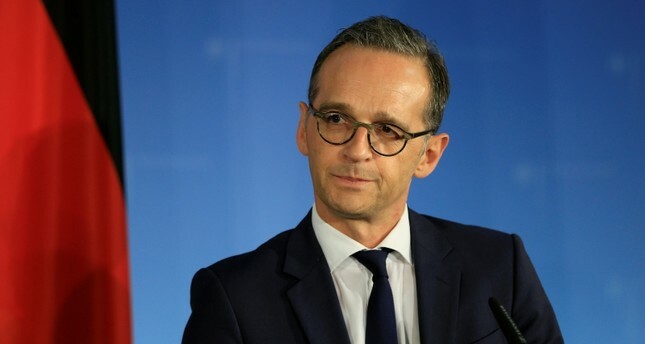 Germany is determined to keep working on improving relations with Turkey, German Foreign Minister Heiko Maas said Wednesday. "With regard to the close connection between our societies and our multifaceted mutual interests, we have a clear will to actively continue working on improving ties (with Turkey). I want to contribute to this with my visit to Turkey," Maas said before departing for a two-day visit to Ankara. The top German diplomat stressed that constructive relations with Turkey are of "strategic interest" for Berlin, adding that Turkey is not just "a big neighbor, but an important partner." According to Maas, traditionally good relations between the two countries have been put through a number of tests in recent years. Maas was expected to be received by President Recep Tayyip Erdoğan, hold meetings with his Turkish counterpart Mevlüt Çavuşoğlu and other senior officials Wednesday. His trip to Turkey comes ahead of a joint meeting on Syria between Turkey, Russia, Germany and France, and also Erdoğan's key visit to Berlin on Sept. 28-29. Turkey and Germany have been in a normalization process for some time after the two countries were locked in heated debates and ultimatums for one-and-a-half years over a series of issues, including PKK and Gülenist Terror Group (FETÖ) terror groups' presence in Germany. Ankara's relations with Berlin have been strained by PKK demonstrations and the presence of the terrorist organization's seniors in the country, which Ankara labels as tolerance of terrorism. The Turkish government also blames the German state for harboring, aiding and abetting FETÖ. So far, hundreds of high-ranking Gülenists and fugitive putschists were granted asylum by German authorities. Relations have warmed in recent months, however, as several issues of mutual interest pushed the two countries closer.